Monday's sky on the way back from my walk. It is probably the same sky as mine this week which looks better than we thought it might. Gorgeous colors, Tom! The hills are alive with the sound of music. What a great walk you are able to take from your house, Tom!! Hope all is well with you....have a great weekend!! Dewdrop... the hills were alive with the sound of me wheezing.. It's not very high but I have to rest a while to get my breath back and to settle my heart rate.. ha! The green grass, blue sky and wispy clouds create a perfect photo. Very nice! What a gorgeous shot! Love clouds and the green! Definitely a classic shot for the day, Tom! this is a most lovely capture of the hills and sky...love the rich colors and how they pop. hope you've a wonderful weekend. Where Lands line and sky line meet together makes for a wonderful post Tom. Such a very blue sky, and lovely varigated clouds. I do love the hills beneath! This is a beautiful photo! Lovely sky, and such a beautiful landscape! The entire scene is wonderful. I feel relaxed already just looking at the serenity in this image. Tom: That is a beautiful scene, thanks for sharing with SWF. Beautiful landscape!! I love the colours!! Beautiful and vivid. I love it. Wow, the colors are awesome. I love the countryside scenery and beautiful sky. That is so nice Tom, I like the gentle play of soft light on the landscape as well. Hi Tom! That is simply gorgeous! Thanks for sharing! Tom this is such a beautiful photo full of colour, creativity and composition. Thank you so much for sharing. Serene is the word that comes to mind. Beautiful shot of land and sky! Wow, that is picture perfect! 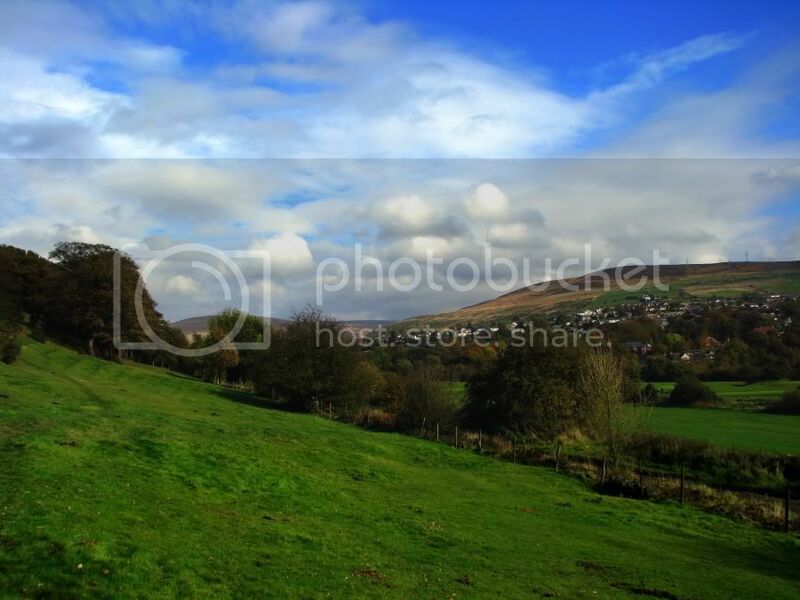 A mountain and hill rich in green against the backdrop of a beautiful English sky. Love the sky's cloud patterns...nicely highlighted by the beautiful medow. Gorgeous, Tom! It could be a classic painting in its composition and the colours are so sharp and intense. Much nice than the cloudy skies I see out my window this morning. The colors are so vivid and beautiful! Thanks for your lovely comment on my rose. PEACEFUL....that is what I think of when i see this! A stunning beautiful sky, Tom. These have been all too rare this autumn and it is a pleasure to see one like this.